Inherent dynamism, magisterial and vital life-loving spirit have been the driving forces behind Eventoile for over a decade in designing and producing world-class weddings and events. We are a Luxury Wedding and Event Planner atelier on a quest for authenticity, with respect for time, heritage and the beauty of your love story, to curate bespoke weddings and bring your style to life. The honeypot allure and your incessant journey into aesthetic perfection is where we draw our inspiration to instill your events with movement and elegance. Working alongside the most skilled artisans and creatives – from our own fine art masters to the most discerning set builders, calligraphers, vendors and patissiers- we navigate between the celebrations and the portraits of our brides and grooms. Carried along by gestures and places, we take our discovery to bespoke color palettes, style and design boards, to form your unique wedding style and ultimately the most pristine wedding experience. Elegantly ensconced in our Lake Lugano headquarters we enjoy working with diverse clients from across the globe and our sur-measure international service gives rein to their dreams. From A-list weddings to intimate celebrations in Lake Lugano Switzerland, Lake Como, Ravello, Portofino, the entire Amalfi Coast and Tuscany to the most romantic wedding destinations in Europe and beyond, our destination wedding planning and event styling services are available whererever your celebration takes you. Transforming your event of love into a work of art is more than ever at the heart of our preoccupations and our commitment to utter perfection. Over the past 10 years Leandra Svizzero has been specializing in creating bespoke fine art events across Europe for a high-end international clientele. Having studied fashion in Milan, Leandra earned her stripes and achieved a high status in the French haute-couture fashion industry, hence her conviction that providing unrivaled quality and seamless services is the fine imprint and the intense stamp a state of the art wedding requires. 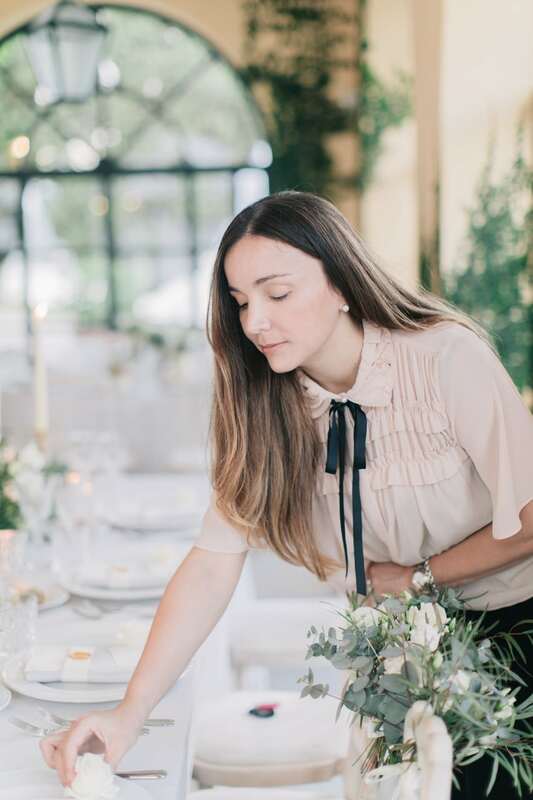 Meticulous, and passionate about the perfect finish she loves working with leading creatives and vendors of the wedding industry who -like herself- appreciate authenticity, elegance, client and professional satisfaction. Her vision encapsulates timeless, slow-paced luxury that reveals refinement and the beauty of each element. Where a sense of absolute balance pervades, Leandra’s brides and grooms come from across the globe and have a true love for fine art. Establishing her brand and voicing each couple’s love story in her concepts, designs and wedding productions is an act of freedom and surely qualifies as her mission to make every bride and groom she works with their most gratified selves!